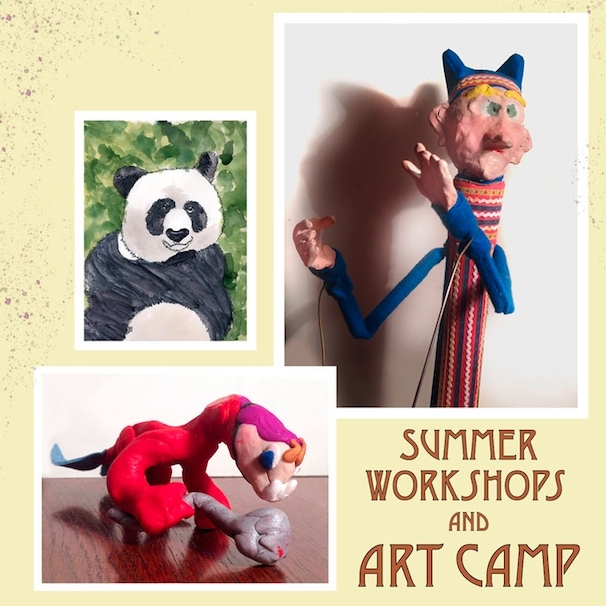 Summer School Workshops and All Day Camps!! We’re excited to announce that we will now be offering creative Summer School Workshops and All Day Camps, in addition to our one-on-one private lessons! We will be hosting week long morning and afternoon workshops, which can be combined to create a day camp experience for kids 8 and older. Breaks will be included in all sessions. If your child is spending a full, art-filled day with us, weather permitting, we will take a short walk to Taylor Park to enjoy our lunch outdoors. Aftercare is available up to 5:30 for an additional fee of $20 per day/per child and should be arranged in advanced.